Creation Date Friday, 02 May 2014. Freedonia Group, a leading international business research company, conducted a market study entitled “World Water Treatment Equipment” that projected an increase in world demand for water treatment equipment in the next three years alongside the upsurge of global economic markets. The demand growth is expected in the developing areas of the world such as Eastern Europe, Africa, Asia Pacific, and Middle East. According to the market report, more than 12% growth will ensue every year to over $13 billion until 2017. Such market demand growth would also bring about improved access to safe drinking water and sanitation facilities through greater use of industrial water filtration and membrane systems. Mature markets in Western Europe and North America are expected to require membrane systems and disinfection equipment for the expansion of industrial and manufacturing activities. These industrial water purification systems can help decrease the widespread chemical-based methods such as chlorination in treating water and wastewater. Market Publishers Inc., another marketing research leader, also published a study entitled “Water Utilities: Global Industry Almanac”. The study summarized an estimated compound annual growth rate of 4.3% for the entire water utilities market to reach a $891 billion value before 2017 ends. 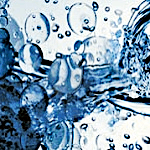 Water and Wastewater Equipment Manufacturers Association (WWEMA) also reported “the major factors affecting this growth are ongoing global economic improvements, particularly in emerging economies, as well as rising environmental concerns provoked by water pollution from agricultural and industrial activities." It is critical for manufacturing industries and other water utilities market to ensure the quality and efficiency of their water treatment systems. Aqua Solutions is committed to providing leading edge, high-quality laboratory water purification systems engineered to produce the ultra-pure reagent-grade water for industrial applications. Browse through Aqua Solutions’ full spectrum of lab water filtration systems at www.aquaa.com today.